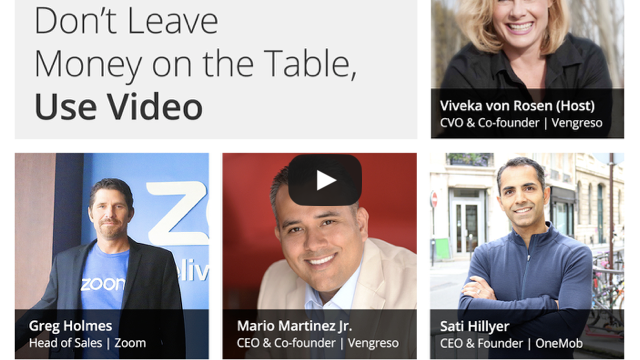 Last month, OneMob founder Sati Hillyer had the privilege to be a part of a webinar session, “Don’t Leave Money on the Table, Use Video”, along with Zoom‘s Head of Sales Greg Holmes, Vengreso‘s co-founders Mario Martinez Jr., and Viveka von Rosen, co-founder of Vengreso, as host. And finally, are videos here to stay? Or is it just another fad? Interested? Check out Zoom, Vengreso, and OneMob for more info!